The Shape of Water is directed by Guillermo del Toro, written by del Toro and Vanessa Taylor, and stars Sally Hawkins, Michael Shannon, Richard Jenkins, Doug Jones, Michael Stuhlbarg, and Octavia Spencer. It tells the story of Elisa, a mute, isolated woman who works as a cleaning lady in a hidden, high-security government laboratory in 1962 Baltimore. Her life changes forever when she discovers the lab’s classified secret, a mysterious, scaled creature from South America that lives in a water tank. As Elisa develops a unique bond with her new friend, she soon learns that its fate and very survival lies in the hands of a hostile government agent and a marine biologist. I’ve been a passive fan of del Toro for some time now, but never really been too head over heels for any of his projects. I’ve enjoyed his past efforts like Pan’s Labyrinth and even Pacific Rim, but he’s never really wowed me. But I can firmly say, that is no longer the case. The Shape of Water is simply wonderful. Full of dazzling visuals, performances, and a great score, del Toro has made something truly special. A modern fairly tale, Guillermo del Toro has made the movie he was born to make. Guillermo del Toro is directing here, and in a lot of ways, he his the star. Only he would have been able to make this, and here he is at the height of his powers. Guillermo has made his most accessible project, giving everyone something to enjoy, while never seeming tonally inconsistent. While I’ve never seen anything like this, it never feels jarring or out of place. Everything is visually stunning, as expected, and del Toro gets great performances from all his actors. He has thrown everything at the wall, and for the most part, it all stuck. He balances sci-fi and romance perfectly here, telling both a compelling love story and a compelling creature feature. The Shape Of Water is unapologetically sweet, earnest, and creative. He’s made a fan out of me, and I’ll look forward to whatever del Toro makes from here on out. Guillermo del Toro and Vanessa Taylor penned the script together and they do a sublime job. The Shape of Water is endlessly original and regularly defies conventions. It will often jump from genre to genre, but a never once feel jarring. They give each character a rich arch and backstory, allowing the actors to really delve into their performances. The pair have crafted a riveting plot and built a detailed and lived-in world. The dialogue is honest, hilarious, and it feels as if you’re watching a dream. The plot kept me guessing and while some aspects may be seen as cheesy or overly sentimental, it’s presented in such a way that it just works. 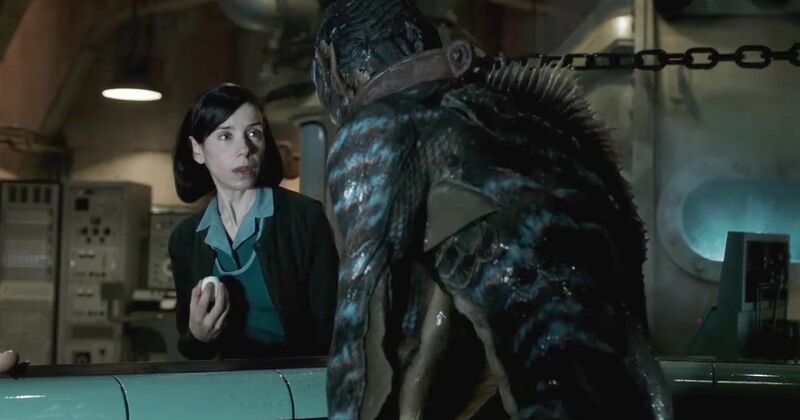 On the surface, The Shape of Water may seem weird and strange, and it definitely is, but if you get over that, there is a lot to love. The Shape Of Water has a fantastic cast. Sally Hawkins does a phenomenal job in the lead role, giving a subdued and powerful performance. She feels like a real human, bruises and all. Octavia Spencer fit her role very well and was a blast whenever she was on screen. 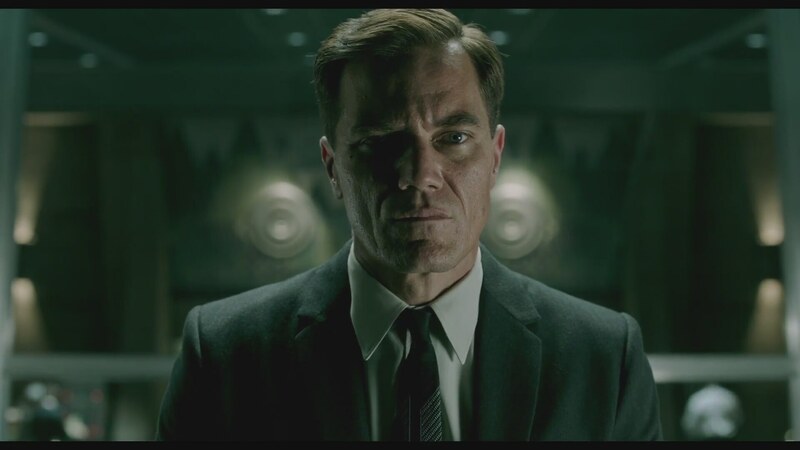 Micheal Shannon crushes his role and continues to be one of the best working actors. Michael Stuhlbarg also continues to have a great year. With this, Call Me by Your Name, The Post, and Fargo, he may be the most accomplished actor of the year. My favorite performance has to go to Richard Jenkins. He is splendid here, playing a charming, damaged man who, in the wrong hands, easily could have been a throwaway character. Now, I’d be remiss if I didn’t give a shout out to Doug Jones, who as expected, kills it. The Andy Serkis of practical effects, he continues to be the king of his craft. He conveys so much emotion through his suit and is a great addition to the world of movie monsters. They all deserve the awards buzz they’re getting and frankly deserve to win. I’m just gonna say it, this is a technical masterpiece. The production design is to die for, with rich and detailed sets, The Shape of Water is a marvel. The cinematography is fantastic, painting the screen with deep blues and almost every shade of green imaginable. The editing may at times get choppy, but what you’re looking at is so damn pretty, you forget. The score is dazzling and enchanting and makes this movie even more of a classic. Every frame of this could be a painting, and I want to eat the world up. I would have expected nothing less from del Toro because even when his projects that aren’t the best, they’re beautiful to look at, ala Crimson Peak. I’m just glad the rest of the movie is as good because I really just loved everything about this. REVIEW — "The Greatest Showman"